Halstead™ Ceilings & Walls markets an extremely innovative and diverse range of ceiling tile products in order to provide residential and commercial customers with a variety of colors, materials, finishes and styles. Our TopTile™ brand of ceiling and wall products enable contractors, architects and owners to have the ability to change the dynamics of their spaces at affordable prices. Halstead™ Ceilings & Walls is a division of the Halstead International Group of Companies, which has domestic offices in Norwalk, Connecticut, and West Palm Beach, Florida. Halstead International Group of Companies also includes: Halstead New England Corporation, Metroflor Corporation, and Vertex Services, Ltd. and associated companies. The Halstead International Group of Companies also has international offices in Dublin, Ireland, Belgium, Hong Kong, Shanghai, China, Zhangjiagang, China, Kuala Lumpar, Malaysia and Taiwan. Halstead™ Ceilings & Walls maintains strict quality control in its production facilities, testing each product to guarantee that it meets premium industry standards, including high air quality standards (in accordance with ASTM D5116) and Class “A” fire ratings (in accordance with ASTM E84). 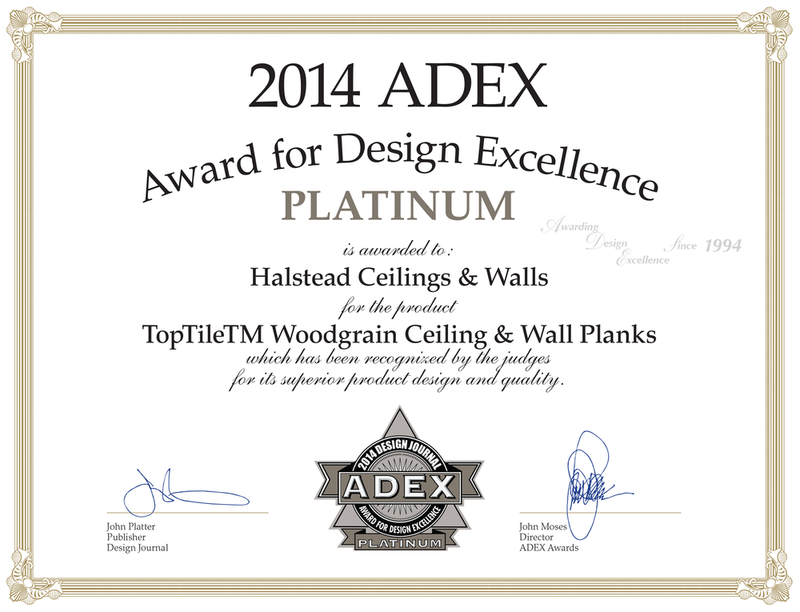 At Halstead™ Ceilings & Walls, the safety of our products, and thus customers, is paramount.